Mission: To help bring about policy, system, and environmental changes in the community that create opportunities for everyone to be as healthy as they can be. Vision: Marion County’s culture prioritizes, values, and promotes equitable opportunities for everyone in the community to have a healthy lifestyle and be as healthy as they can be. Values: The coalition’s work is guided by the values of equity, inclusion, education, evaluation, sustainability, collaboration, and evidence based best and emerging practices and strategies. To learn more about the Creating Healthy Communities initiative and its statewide impact, please click here. 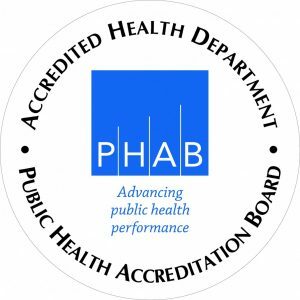 Meetings are held at 10:00 am at Marion Public Health. Meeting dates are intended for all members of the Creating Healthy Communities and Pioneering Healthy Communities Coalitions. This will provide members with an opportunity to stay informed and engaged as we work to improve efficiency and impact through the consolidation of these coalitions. 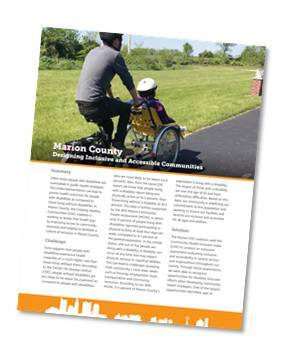 Learn how we’ve partnered with the Marion County Board of DD to not only increase access to healthy food, but also provide community inclusion for individuals with disabilities – read our success story here! Learn more about the coalition and those who represent the community involved in it – click here! Check out the dates and locations here! By December 31, 2019, Marion County will increase the number of adults/youth who have access to places for physical activity as evidenced by an increase in one repaired park/playground. By December 31, 2019, the North-end of Marion City will increase the number of adults/youth who have access to places for physical activity as evidenced by an increase in four Bike Infrastructure improvements. By December 31, 2019, the West-side of Marion City will increase the number of adults/youth who have access to places for physical activity as evidenced by an increase in one Public Transit improvement. By December 31,2019, Marion County will increase the number of adults/youth who have access to places for physical activity as evidence by an increase in one community walking program. Marion County will increase the number of Ohioans following the U.S. Dietary Guidelines for Americans. By December 31, 2019, Marion County Marion County will increase access to healthy food options as evidenced by an increase in one Food Pantry and ongoing support of GFH mobile produce market. By December 31, 2019, the North-end of Marion City will increase access to healthy food options as evidenced by an increase in one Produce Prescription Program. By December 31, 2019, the West-side of Marion City will increase access to healthy food options as evidenced by an increase in one Farm to Institution. By December 31, 2019, Marion County will improve healthy eating practices and policies as evidence by an increase in nutrition education support through partnership with OSU Extension Marion County. By December 31, 2019, Marion County will increase access to healthy food options as evidence by ongoing support of the Marion Farmers Market and Produce Perks Nutrition Incentive program. By December 31, 2019, the Marion CHC Coalition will perform two CHANGE tool assessments and determine the improvements in health factors and outcomes over the 5-year grant cycle. By December 31, 2019, the Marion CHC Coalition will be a high functioning coalition. By December 31, 2019, the Marion CHC Coalition will increase PSE knowledge and skills as evidenced through a coalition assessment and evaluation. By December 31, 2019, the Marion CHC Coalition will conduct evaluations on population based strategies to determine impact on community health. By December 31, 2019, the Marion County CHC Coalition will identify complete one in-depth outcome evaluation which will be used as a success story.